If you want the best in safety, efficiency, and comfort, the Volvo XC90 Hybrid will satisfy those desires, and then some. The Wynn Group proudly offers this SUV, which will transform for the better how you get around and conduct everyday life. Learn how this vehicle is ideally suited for everyday life in Norristown and the surrounding region. Head out for a day of adventure, which can be had aplenty in Norristown. No matter if you're interested in visiting the Elmwood Park Zoo to learn about animals, or just want to relax at Norristown Farm Park, the Volvo XC90 Hybrid will get you there efficiently. That means stopping less often for gas, so you have more time to do the things which matter most. The hybrid powertrain allows you to drive using just electricity, so some shorter trips might not require any gasoline. 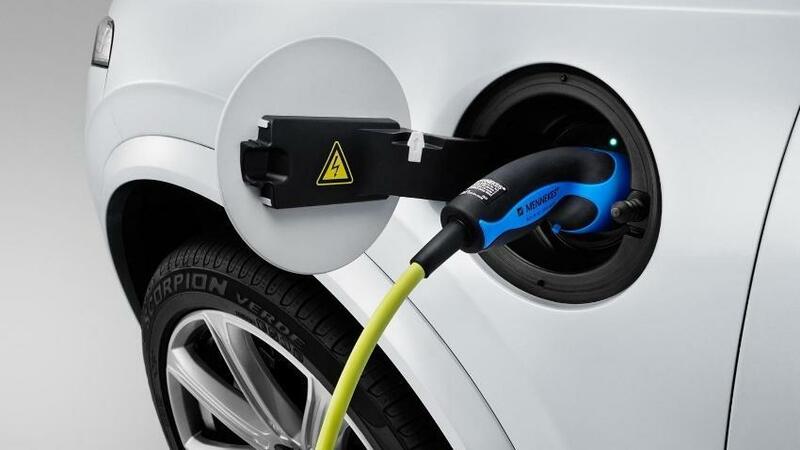 When home or anywhere else for an extended period of time, you just plug the SUV into a charger to replenish the battery, which powers the electric motor. Saving on gas doesn't mean you must suffer otherwise. With the Volvo XC90 Hybrid, you get a peak 400 horsepower and 472 lb.-ft. of torque. That's plenty to get you up to speed quickly on I-276 or I-476, ensuring merging into traffic involves little stress. Even with people on all three rows of seating, the SUV can conquer steep roads and any conditions without straining. You put your most precious cargo of all in the Volvo XC90 Hybrid. Knowing the SUV provides unrivaled safety means you can head to Bouncetown or other family-friendly venues with everyone and not worry endlessly. This SUV has earned a Top Safety Pick rating from the Insurance Institute for Highway Safety (IIHS). The prestigious distinction doesn't come easily, making it a commendable honor. A boron steel passenger compartment ensures incredible strength, guarding against injuries in a crash. Advanced airbags help considerably as well, along with strategic crumple zones. Avoid even getting in dangerous situations with advanced technologies. For example, automatic braking can detect stopped vehicles in front of the SUV, along with cyclists, pedestrians, and even large animals. No competitor offers a system like run-off road mitigation, which activates if you leave the road surface at speeds of 40 to 86 mph. Adaptive cruise control means the vehicle goes the speed you set, unless traffic ahead slows. It automatically adjusts, so you're never following the car in front too closely. You don't need to worry about fitting everyone and everything in the Volvo XC90 Hybrid. Not only can you reach your destination in Norristown or the surrounding area efficiently, you'll have room to spare. Each of the 7 full-size seats features spine support. That means you arrive at your destination feeling refreshed, even if you drive all day. Legroom abounds on all three rows. Even with all that occupant space, the cargo area behind the third row fits a surprising number of things, letting you haul bags or whatever else easily. If you need, folding down the third row provides 85.7 cubic feet of space, for when you need to bring along a little extra. Learn more about the amazing Volvo XC90 Hybrid by contacting The Wynn Group.